4" x 4" x 1.75"
Lover of the natural world, magical worlds, and the inner realms, Damini Celebre is an artist and subtle energy healer. Influenced by the movements of: Zen Sumi-e, Post-Painterly Abstraction, 19C American Landscape Painters and Aboriginal and Huichol yarn art. Ms. Celebre integrates her healing and creative worlds through the metaphor of Landscapes; the internal landscape of Soul and external landscape of Nature. 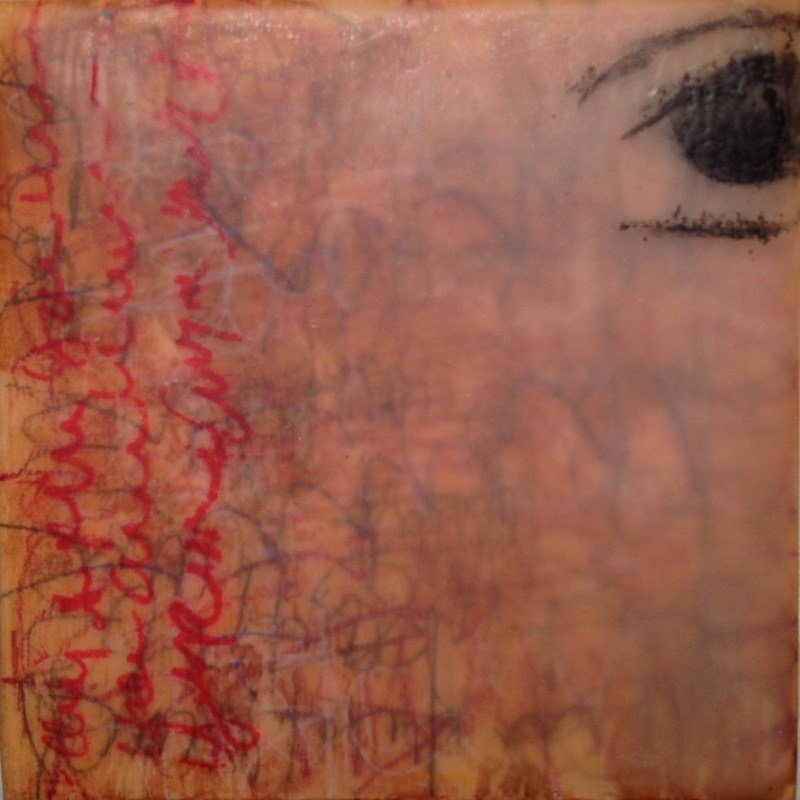 Currently, she is exploring the energetic and vital connection to self and the natural world through the multi-layered mediums of drawing, painting, encaustic, and printmaking. Damini holds a BFA in Painting and Photography from the California Institute of the Arts, a Masters Degree in Acupuncture, and is a Certified Expressive Art Facilitator and shamanic practitioner. Ms. Celebre just completed an artist in residency at OCHO, Questa NM. Presently, she is exploring new ideas and techniques from that residency and is preparing for an upcoming residency in February, 2017 at Elephant Butte Lake Artist Retreat, New Mexico.